If there was one country in the world which you might think would understand the importance of democracy, the right to self determination and freedom from unaccountable government, it would be the United States of America. And so it has been particularly depressing to watch politicians and commentators from the United States dutifully line up to support the European Union and condemn Brexit as some sort of frivolous and deliberate act of economic self-harm with no potential upsides whatsoever. Latest to join the fray are the Washington Post (in a piece now being widely shared on social media by Remainers) and the New York Times, both of which condemn Brexit as an isolationist fantasy without showing any evidence of having researched the issue in any detail. Countries usually don’t knowingly commit economic suicide, but in Britain, millions seem ready to give it a try. On June 23, the United Kingdom will vote to decide whether to quit the European Union, the 28-nation economic bloc with a population of 508 million and a gross domestic product of almost $17 trillion. Let’s not be coy: Leaving the E.U. would be an act of national insanity. 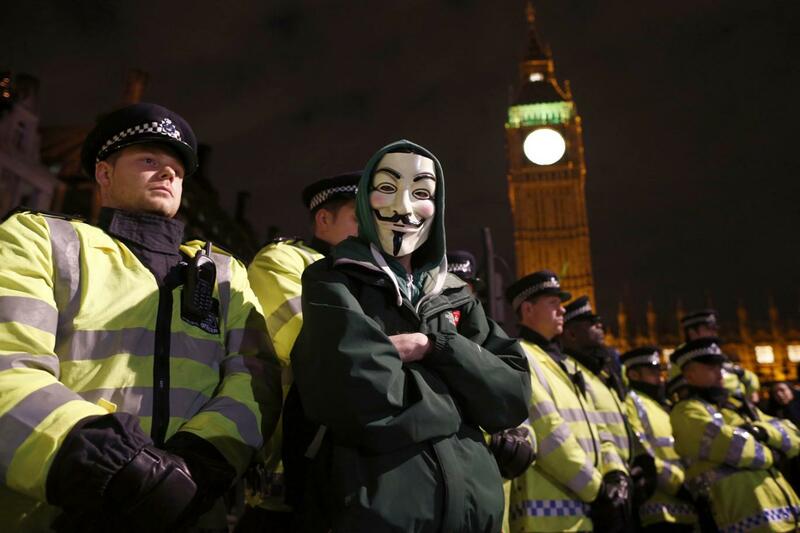 [..] What this debate is really about is Britain’s place in the world and its self-identity. Britain has long been of Europe but also apart from it. The British Empire was once the world’s largest. To be simply another member of a continental confederation, albeit an important member, offends this heritage. The nostalgic yearning is understandable, but it is not a policy. Ironically, leaving the E.U. would confirm the U.K.’s reduced status. The U.K. would have to renegotiate its trading agreements with the E.U. and dozens of other countries. A deal with the E.U. is essential. For the U.K., the best outcome would be to retain much of its preferential access, which — as a practical matter — would mean continuing contributions to the E.U. budget and abiding by most E.U. regulations. The status quo would survive, except that the U.K. would have no influence over E.U. policies. Anything less than this would have the E.U. putting its own members at a competitive disadvantage. One could drive an entire convoy of trucks through the holes in this argument – like the implied assertion that maintaining EEA access would require “abiding by most EU regulations” when in fact it would only mean following those directives and regulations which pertain to the single market (well under half of the total). Note, too, the dismissive attempt to make euroscepticism sound like a nostalgic hampering for empire. What is really outdated, though, is the WashPost’s antiquated belief that membership of “continental confederation[s]” or giant regional blocs is somehow necessary for national prosperity, despite the Cold War having ended a quarter of a century ago. The Post has made no effort to actually understand what motivates Brexiteers – be it the “liberal leavers” like this blog, or the more traditionalist types in UKIP – and instead falls back on a bed of platitudes and outdated assumptions. The euroskepticism that has led to the British referendum, and that forms a strong component of the right-wing nationalist parties on the rise in many European countries, is not about efficiency or history. It is about ill-defined frustration with the complexities of a changing world and a changing Europe, a loss of faith in mainstream politicians and experts, a nostalgia for a past when nations decided their own fates and kept foreigners out. To those who hold these views, the European Union is the epitome of all that has gone wrong, an alien bureaucracy deaf to the traditions and values of its members. Not surprisingly, Mr. Trump and the French politician Marine Le Pen both favor Brexit. 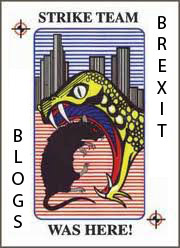 The bloggers of The Leave Alliance in particular have exposed the fascinating world of international trade and regulation, and the slowly emerging global single market – comprised of the real global “top tables” – of which Britain could be a part, if only we had the national confidence to stop hiding behind the euro-parochialism of Brussels. Viewed this way, Brexit is an absurdity. But it is a potentially destructive absurdity. It creates more uncertainty in a world awash in uncertainty. This would weaken an already sputtering global economy by giving firms and consumers another reason to pull back on spending. It would be better for the U.K. to stay in the E.U. It would also be better for the E.U., because Britain provides political and intellectual balance. Finally, it would be better for the United States, which doesn’t need a major ally — Britain — to go delusional. Ah, so that’s what this is really all about – stability and predictability for the United States. It would have been much more honest if the Post had simply admitted this upfront, rather than squandering credibility by feigning concern for Britain’s economic and geopolitical welfare – and then advancing the bizarre notion that America’s strongest and closest ally should continue to tolerate infringements on her democracy which the United States would never accept for itself. But in one sense the Washington Post is quire right – Brexit would indeed cause some short term uncertainty. That is inevitable when we are dealing with such consequential matters of state. It’s just that some things matter more than the fear of precipitating a period of short term uncertainty. Why should Britain, like a frog placed in cold water, remain fearfully in situ as the temperature increases and the water starts to boil? Because jumping out of the water into dry land would be a “leap in the dark”? Because it would be a departure from the status quo? Well, yes, so it would. But the EU, a relentlessly integrating political union beset by crises of currency, mobility and democratic legitimacy is the proverbial vat of boiling water. “The devil we know” hardly seems to apply here. It was Queen Elizabeth’s official 90th birthday celebration last Sunday, and tables for 10,000 guests were set along the Mall in central London. Steadily the rain fell, dripping out of the tubas of the bands and softening the sandwiches, but Her Majesty’s subjects munched on with stoic British spirit, standing up to cheer as she passed. In her fuchsia coat and matching hat, she waved and grinned as if nothing had changed and never would. But next week, a very great change may come. On Thursday, Britons will vote in a referendum on whether their country should stay in the European Union or leave it. If a majority opts for “Brexit,” a long earthquake begins. It will topple the old facade of Britishness. It will disrupt, perhaps mortally, the foundations of European unity. The sense of a fateful moment suddenly peaked on Thursday, when, the police say, a young Labour member of Parliament named Jo Cox was shot to death in her West Yorkshire district by a man who is said to have shouted, “Put Britain first!” and to have been involved in the white-supremacist National Alliance in the United States. Royal ceremonies offer a brief, reassuring illusion of continuity, but at the back of many minds on the Mall was this thought: Could we be saying goodbye not just to this beloved old lady, but to a certain idea of nationhood? An outward-looking, world-involved Great Britain may soon shrink into a Little England. It is frankly hilarious that the New York Times is trying to portray Brexit as some kind of grievous departure from the proper trajectory of history by referencing the Queen, when Queen Elizabeth II was on the throne several years before the European Coal and Steel Community was even formed, and decades before Britain finally joined the European Economic Community. In other words, it is the European Union and its hateful, antidemocratic model of supranational governance which is the departure from historical norms, and Brexit the antidote which aims to restore the nation state as the proper guarantor of our basic rights and freedoms. That the New York Times is unable (or unwilling) to admit this only shows just how deeply they buy into the carefully cultivated “inevitability” of the EU. Is it a baseless panic? Many European countries tolerate far higher levels of immigration. Scotland, with a new community of some 55,000 Poles, actively encourages it. In England, support for Brexit and for the xenophobic U.K. Independence Party is often in inverse proportion to the scale of the problem: The fewer immigrants there are in a town, the louder the outcry against foreigners. In contrast, polling in inner London, where about four out of 10 inhabitants are now foreign-born, shows a clear preference for staying in Europe. This is just appalling journalism. Does UKIP attract a slightly higher proportion of xenophobes than other political parties. Yes, probably. But does that make the party “xenophobic”, as the New York Times casually claims? Absolutely not. One wants to ask Neal Ascherson (the author of the piece) how UKIP’s policy of a points-based immigration policy which stops discriminating against mostly white Europe in favour of a level playing field for immigrants from all countries can possibly be xenophobic. But of course, he would not be able to answer. It is received wisdom that UKIP is a borderline racist party, and so prestige publications like the New York Times are happy to print as much. English nationalism, though inchoate, is spreading. For older generations, it was cloaked in British patriotism. But now, having watched the Scots and the Welsh win their own parliaments, England — with no less than 84 percent of Britain’s population — feels aggrieved and unrepresented. And so the English have gone in search of their own identity politics, finding common cause with the general impatience with old political elites that is flaming up all over Europe. For now, their angry sense of powerlessness is aimed at the European Union. But the truth is that it’s from bloated, privileged London, not Brussels, that the English need to take back control. The Brexit campaign orators, themselves members of that metropolitan elite, have carefully diverted English fury into empty foreigner-baiting. In France this month, English soccer hooligans’ chant was “We’re all voting Out!” as they beat up fans from other nations. Presumably the New York Times supports the American system of government. One might think that this would lead them to reflexively support a strong and independent nation state organised on the federal model – or something like Brexit followed by constitutional reform to give equal powers and representation to the four home nations of the United Kingdom. And yet in this snivelling OpEd, they search instead for every reason imaginable, however slight, to criticise Brexit and overlook the manifold failings of the European Union. And they deny the independence and model of government which they themselves enjoy to the inhabitants of their strongest and closest ally. It is certain that Brexit would do gross damage to both Europe and America. For the United States, it would mean the failure of many years of diplomacy. Britain would become at once less useful as an ally and less predictable. Washington would turn increasingly from London to Berlin. Which is the nation with a blue water navy and armed forces capable of projecting global reach? Which nation hosts the world’s capital city and leading city of finance? Which nation is the declared nuclear power and UN Security Council P5 member? Which nation shares a language and many elements of a culture with America? There’s been a lot of bluster in this EU referendum campaign, but the notion that the United States would turn away from its only real dependable (and contributing) ally in the world to shack up instead with Germany is, frankly, laughable. Both of these editorials – Washington Post and New York Times alike – seek above all to problematise the Brexit process, to burden it with what-ifs and doubts and problems while furiously overlooking the many problems with the status quo and the soon-to-be problems about to beset the European Union. They do not begin from a place of objectivity and a willingness to follow the facts. They do not even do justice to America’s own founding values, which would rightly balk at ever joining a democracy-sapping supranational government like the EU. But most of all, they make it sound like Brexit is just too difficult. That whatever the merits, difficult things are now beyond our capabilities and that we must muddle through with the failing mid-century institutions bequeathed to us by our grandparents. This is fatalistic and depressing in the extreme, but it accurately represents the viewpoint of the establishment in both Britain and America, both world-leading countries which have markedly lost their way in recent years. 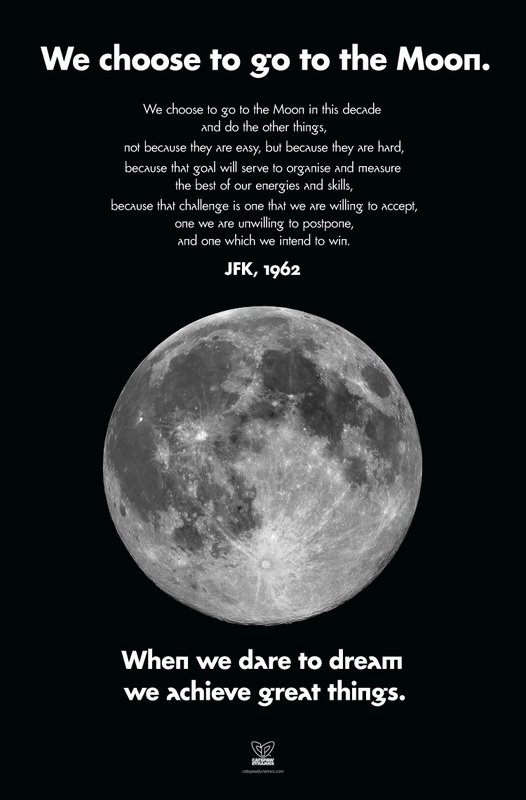 President Kennedy once entreated Americans to go to the moon and do the other things not because they are easy, but because they are hard – and because the striving toward an ambitious but difficult goal would be the best way to organise and measure the capabilities of the nation. And before that decade was out, Americans had walked on the surface of the moon. Now, the two most prestigious newspapers in America are frantically counselling Britain not to reach for the metaphorical moon, not to reach for independence from a suffocating and failing European political union, not to do anything which might in any way rock the boat or stem our slow decline into euro-parochialism and global irrelevance, because doing so would be difficult and would create (shock, horror) a period of uncertainty. In other words, the American establishment is looking upon Britain as though we have taken leave of our senses even by having this referendum. They, having lost faith in the strength and capability of their own country, expect Brexiteers to similarly write off our own. But it is not we Brexiteers who are flirting with insanity, as the Washington Post so arrogantly claims. It is America which has lost its way, and the American establishment and political class which could learn something from the scrappy, underdog campaign to free Britain from the EU.